Having a lawn care business is a great idea. The initial up-front investment of a lawn care business is quite small and the potential return-of-investment (ROI) is impressive. 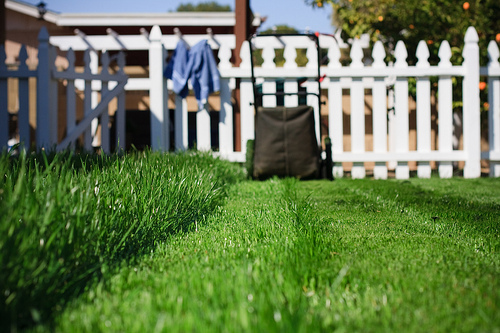 We collected the most important information for you to start your own lawn care business. You won’t need to search the internet any longer as this page will provide you with all information which you need to get started with your lawn care business. You will need a business plan and cash flow projection for your lawn care business. You don’t need anything too detailed, but it is always good to at least have a rough plan of what you are planning to achieve. Find templates for business plans and cash flow projections here. You will also need to send invoices for your lawn mowing jobs. It is best to use an online invoicing software like Invoiceberry to send your invoices. You can enter all your customers into the database and after every lawn mowing job you simply need to select the customer, enter the date of the lawn mowing job and the invoice is ready. Click here to sign up for a free account and start sending invoices now. You will need to save money on things like lawn mowing equipment, marketing of your lawn care services and administration. Read these presentations about bootstrapping your business and saving money on your lawn care business to get some more ideas. Let us know how your lawn care business is going!